Stella McCartney Kids Coloring Contest Winner! 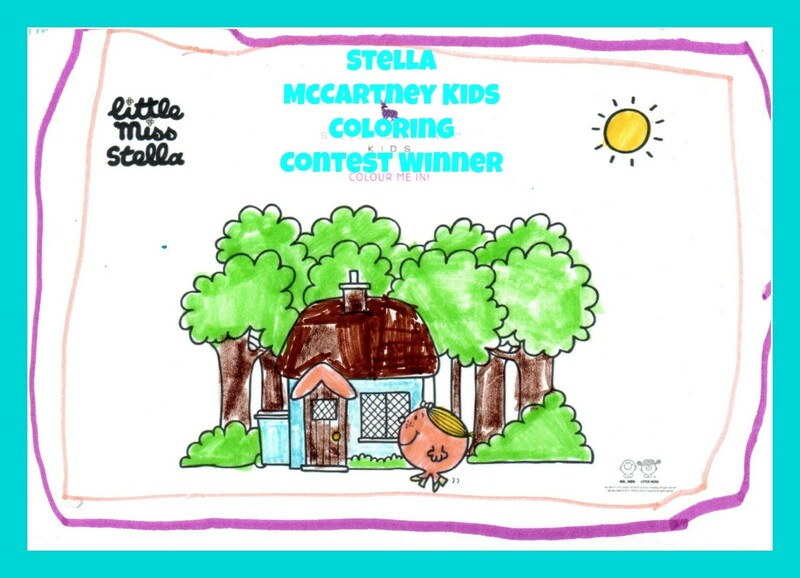 For the past few weeks we hosted a fun contest calling our kiddos to let their imaginations run wild and color in the Stella McCartney Kids Coloring Contest featuring the Little Miss Stella Poster. We received some amazing entries and the Stella McCartneyKids team picked their favorite drawing along with four runners up. The winner, six-year-old Morgan, created this fun and colorful masterpiece and she will win an amazing Stella McCartney prize pack complete with one outfit from the new AW 12 Stella McCartney Kids collection, a limited edition Little Miss Stella book signed by the author and illustrator Adam Hargreaves and a complete box set of Mister Men books! Want to see the rest of the entries? Check out the Stella McCartney Kids Facebook page for more amazing contest submissions!